Hong Kong, 06 December 2012 - PacHosting has featured cPanel, a highly acclaimed control panel on Cloud Servers and CloudNet, delivering an enriched user experience for its customers. As a globally renowned web-based control panel, cPanel provides users a familiar user interface to take a complete control over every aspect of their virtual servers, including the management of email accounts, databases, applications, security, FTP and more. With the intuitive and easy-to-use graphical layout of cPanel, the process of server set-up and maintenance could now be streamlined. 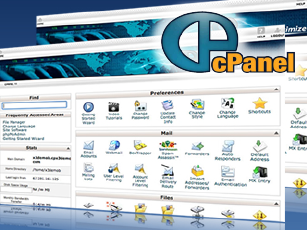 cPanel is now available on CentOS platform of Cloud Servers and CloudNet as an add-on service at $50/month only. For details of the offering of Cloud Servers and CloudNet, contact our sales team at (852) 3143 2626.